With the arrival of spring blossoms, real estate brokerage firms enter the most pivotal season for marketing properties. As they mobilize their marketing engines, the key word this year appears to be disruption. 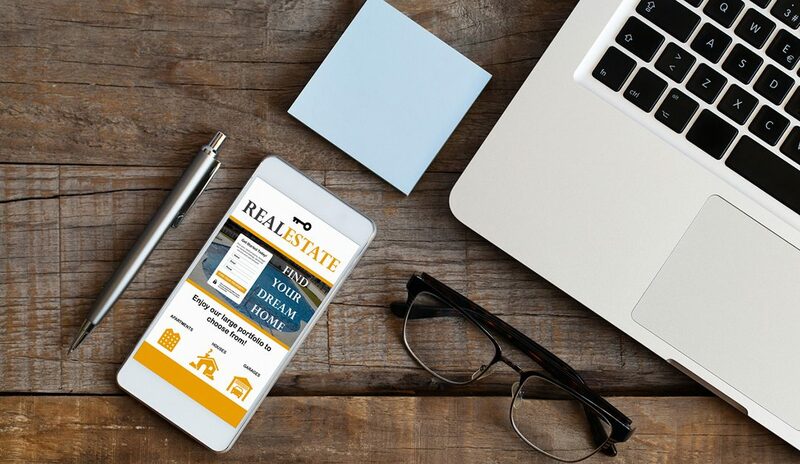 Disruption, however, isn’t occurring so much in the area of who can market a listing cheaper, but rather, in the area of how agents can embrace technology to increase sales. Most successful agents continue to engage the old-fashioned way. They work hard, engage with clients and build on existing relationships while fostering new ones. Pegi, longtime friend and successful agent, has found continued success through this approach over the years. A true professional, Pegi works with a large firm and recently told me that she has sold one particular house in my neighborhood four times. This is the true mark of a professional that knows her market. Not only is she better informed, but she also uses a continuous marketing strategy to educate her market, utilizing key people to help with the different segments involved in the marketing process. For her, disruption will occur when she’ll be able to complete the entire marketing process from her own computer. This is true disruption, when she can shorten that process from weeks to a matter of minutes while still complying with company guidelines. She understands that the onus is on the agent to be successful. While the broker can create the roadway, the agent must navigate his or her own path toward success, and, quite often, build it. For example, some brokerage firms have the agents do all the marketing, encouraging the development of an agent’s own brand. Other firms leverage franchise marketing. The famous RE/MAX balloon is a great example. Another firm, UNiQ Realty, a high-end firm in Newport Beach, Calif., and a new Amarki client, is forming a large firm. They understand the importance of getting it right the first time, so they’re putting the proper CRM and marketing infrastructure in place before reaching critical mass and teaming up with key partners to do it right. Other firms like Hilton & Hyland do a tremendous amount of brokerage marketing; however, the lion’s share of today’s marketing dollar is being spent by agents. This is not what you would consider disruption, but rather, it’s more of a change by firms to push marketing to where it’s more relevant. Top-producing agents (top 10 percent) spend an average of $2,200 per month on print. This includes Just Listed/Just Sold campaigns, farming, yard signs, Every Door Direct Mail (EDDM) marketing, etc. Top-producing agents spend an average of $312 on flyers, door hangers and walking cards. Top-producing agents are creating an average of 25 digital marketing pieces each month, including emails, social postings, etc. Some confuse web-to-print as marketing automation, which it is not. True disruption starts with the design process, collateral customization, MLS integration, social postings and print using one simple interface that provides marketing collateral in a matter of minutes and delivers it the same day or within 24 hours. It gives a firm complete control over its brand messaging and makes it seamless for agents to do their own marketing while maintaining industry compliance with mandated requirements. Disruption is more than just the word of the moment. It has to be understood. As more data is aggregated, we’ll have access to better metrics in order to further refine its definition. Joe Martinez is the chairman and CEO of Amarki. For more information, please visit www.amarki.com.